I got this small quilt loaded into the frame before we left town for the weekend. I got the quilting started and need to get back and finish it now. I used a tutorial from Kathy at Tamarack Shack to figure out the border design. I’m using freehand continuous curves in the star blocks. And a simple curved design in the sashing. 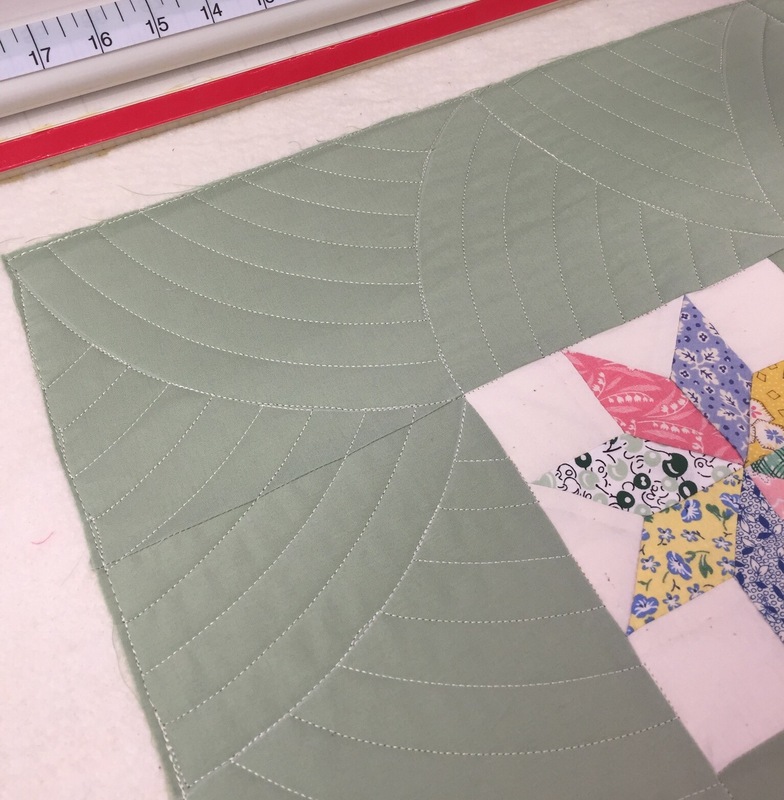 I’m using templates from The Quilted Pineapple. I toyed with the idea of using an extra layer of batting, but decided I wanted it to have more of an old fashioned feel with these 30s reproduction fabrics. I better get moving if I want to get this finished up today! This entry was posted in HQ Avante, Machine quilting, Uncategorized. Bookmark the permalink. I love those fabrics. Great work! This is so pretty! Love the quilting! 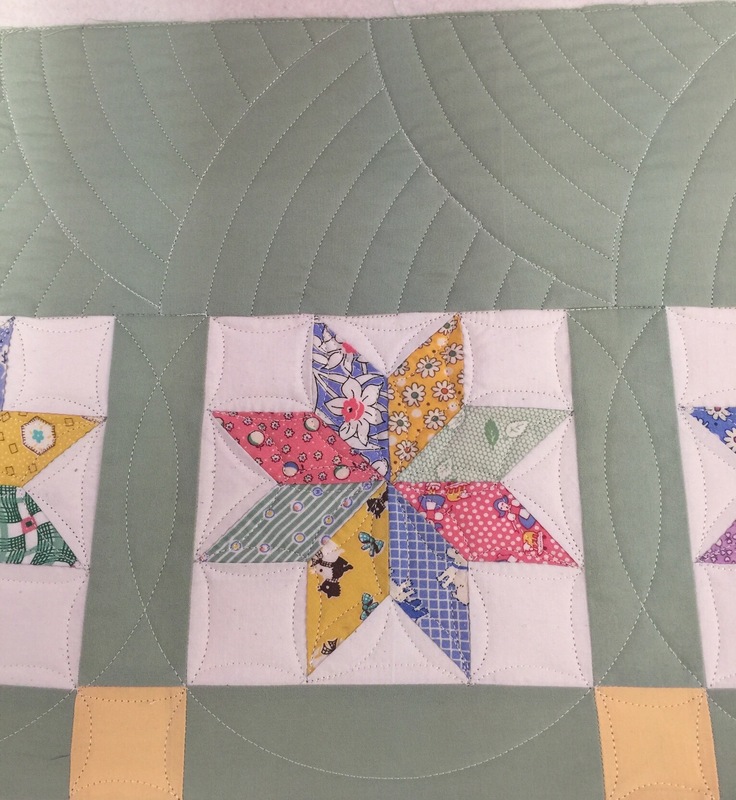 The quilting fits this quilt perfectly! Lovely border Katy. Thanks for sharing the link I have just popped over and will bookmark to try on a future quilt.